UK based letterpress shop, Typoretum, just launched an outstanding line of hand-printed, limited edition cards created using antique wooden and metal letterpress type, decorative borders, and printers’ fleurons. I’m loving their use of the antique type to create modern cards, and I’m drooling over the pictures of antique type that compliment the images of their card line at their website. Typoretum’s cards are printed using vegetable-based inks, and the paper used is 100% cotton fiber, a by-product of the clothing industry. 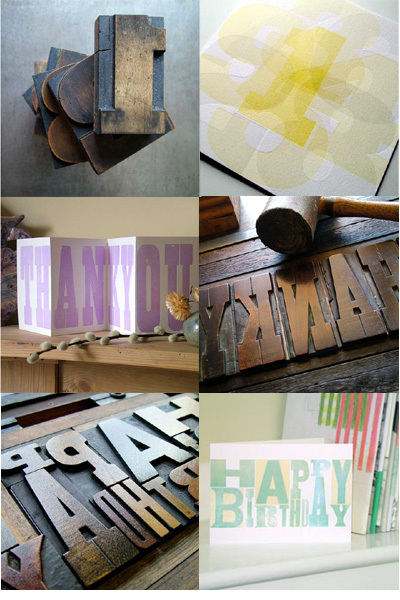 You can purchase cards on Typoretum’s website. These are so detailed and really stunning!